Students and teachers are invited to share their thoughts, discuss issues related to the MatlLan project. 2. which were the strenghts of your group's presentation? 3. what would you change for improving your group's presentation? 4. what did you learn from your presentation? Please read the previous days' reflections (if you haven't done it by now) and answer the questions - if you know the answer. 4. what have you learned from the opening conference? 4. How went the preparation of the research work presentation in the Congress? Please describe it in 2-3 sentences. Please read the yesterday's reflections and answer the questions - if you know the answer. 1. Please write the French words (RO students) or Romanian/ English (words) you learnt within the last 2 days. 2. Which lesson you did like most (today)? Why? 3. Have you noticed similarities and differences among FR and RO school life? Please write down at least 1 similarity and 1 difference. 1. What have you learnt during the first day of the students exchange activity? 2. Ask a question about French/ Romanian culture, French/ Romanian language, French/ Romanian school system etc. The question should be important for you; you want to find out the answer. The learning week in FR just started - see the agenda of the week. ... Some (small) changes in the agenda. The Math Forum we will organize at Colegiul Național Emil Racoviță on the 20th of May 2015 is included (not only in our calendars but also) in the Youth@Cluj-Napoca 2015 Calendar! 1. What did you like best about the Congress activities? 2. What did you like least about the Congress activities? 3. What did you learn by preparing and participating in the Congress? 4. What are two or three words you can use to describe how you feel about this Congress? 5. What, if anything, will you do differently at home (e.g. in researching, in learning math, in learning languages) because of the experiences you had while participating in the Congress? 6. Would you like to participate in the next year MATh.en.JEANS Congress? Why or why not? 1. What have you learnt during the first two days of the students exchange activity? 2. Ask a question about Romanian/ French culture, English/ French language, math & sciences, Romanian school system etc. The agenda of the C1 activity (short term students exchange in Cluj-Napoca) is prepared. 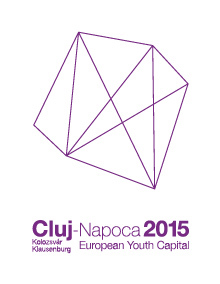 Cluj-Napoca is the European Youth Capital 2015. Good news for our French colleagues - French language one of the official languages for Cluj-Napoca European Youth Capital 2015. Read more.